Have you attended a large education conference recently? You probably sat in room after room with hundreds of other attendees listening to outside experts talk about topics that weren’t quite what you were interested in. You were sure there were some interesting conferees to talk to in the audience, people who had the same problems you did (and maybe even some answers)—but how could you find who they were and meet them among the swirling crowds? Did you come away frustrated, feeling that only a small portion of the time you attended was valuable to you? An edACCESS conference is different. 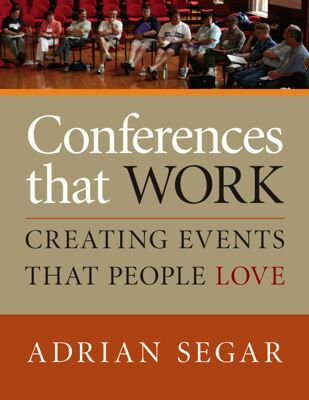 We use the peer conference model, developed by edACCESS co-founder Adrian Segar and described in his book Conferences That Work: Creating Events That People Love, for the majority of our conference sessions. Although we include excellent predetermined sessions at our conferences, it’s our peer sessions that receive rave reviews years after year. Each edACCESS conference is small, responsive, and participant-driven. Small, because edACCESS conferences are limited to one hundred attendees. Responsive, because half the conference is spent discussing topics chosen by attendees through a careful first-day process. Participant-driven, because we believe that, collectively, we are the experts. We design each conference to make it easy for attendees to share what they want to discuss, the problems they need help with, and the answers they have found from their own experience. Our conference provides a supportive environment for a learning and sharing experience that is tailored by and for the individual attendees, concluding with facilitated sessions that provide reflection on what has happened and what should happen next, both for the individual and the group. Does this sound like the kind of conference you’d like to attend? If so, we’d love to see you at our next conference. For over twenty years, edACCESS conferences have served as an indispensable resource to information technology staff at K-12 schools and small colleges. Through four days of presentations, panels, roundtables, and focused discussion, edACCESS 2019 will address current issues in the education arena, while also allowing time for informative chat sessions, vendor exhibits, and a lot of fun. At edACCESS, attendees leave with hands-on, tested solutions to technology challenges, ideas about approaches used at other schools, and a network of technology “gurus” with whom they can discuss topics in the future. edACCESS traces its roots back to 1991, when three computing directors at two small colleges in Vermont met to discuss the growing gap between the administra­tive computing solutions used by their institutions and those used at larger schools. Out of this meeting grew ACCESS — Administrative and Campus Computing Environments at Small Schools. The first two ACCESS conferences were held at Marlboro College, Vermont, in 1992 and 1993, with more than one hundred participants from seventy schools. Since then, ACCESS changed its name to edACCESS and has convened at numerous schools in the northeastern United States. Our 2019 conference will be held June 17-20, 2019 at Blair Academy, in Blairstown, New Jersey. Once again, attendees will enjoy our unique blend of peer-centered informal and informative discussions, coupled with great food and a pleasant environment. edACCESS 2019 will be a unique opportunity to get answers to questions, network with peers, and have fun. Don’t miss it!